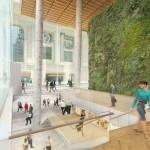 As part of a five-year, $210 million plan to significantly upgrade Grand Central’s subway station, developer SL Green hopes to install new staircases to the train platforms, two new street-level entrances and a refurbished mezzanine level, and a 4,000-square-foot ground-level commuter waiting area. 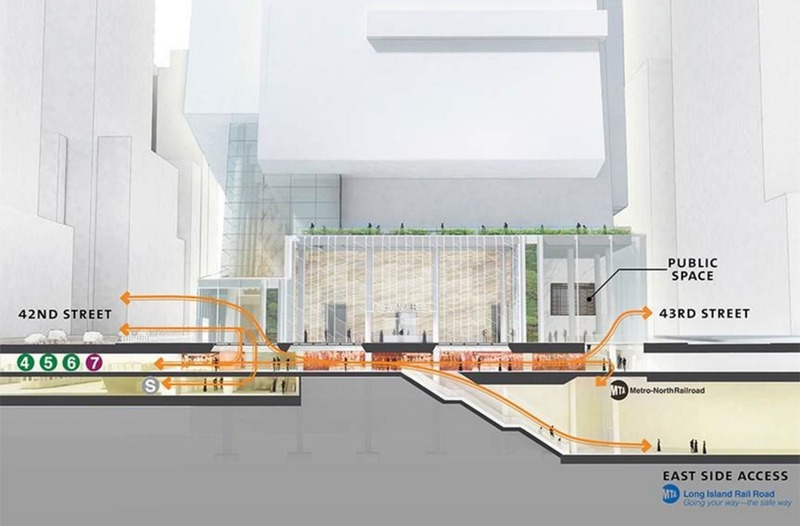 The improvements were conceived in conjunction with the MTA and the de Blasio administration earlier this year as the first component of the Midtown East Rezoning project. 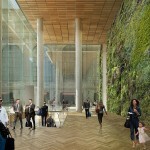 The transit upgrades must all be completed before tenants can occupy One Vanderbilt (planned for completion in January 2020), SL Green’s new 65-story office tower planned for the entire block west of Grand Central and north of East 42nd Street. 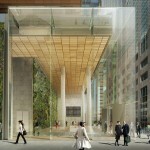 Designed by Kohn Pederson Fox, the tower will be the second-tallest building in the city when completed. Before the city can sign off on the project, it will have to go through the tricky ULURP (Uniform Land Use Review Procedure) process, which will begin this month and last until March 2015. Demolition of buildings on the tower site will wrap up by the second quarter of 2016, and the foundation will be laid by 2017. 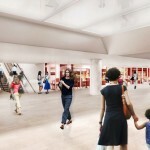 The biggest changes will be made to the Lexington Avenue line station. 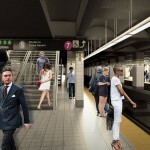 The second-busiest station in the city, it sees an average of 154,000 riders per day, but the MTA hopes to operate at least one additional train per hour along the Lexington Avenue line, an average of 1,100 more riders. 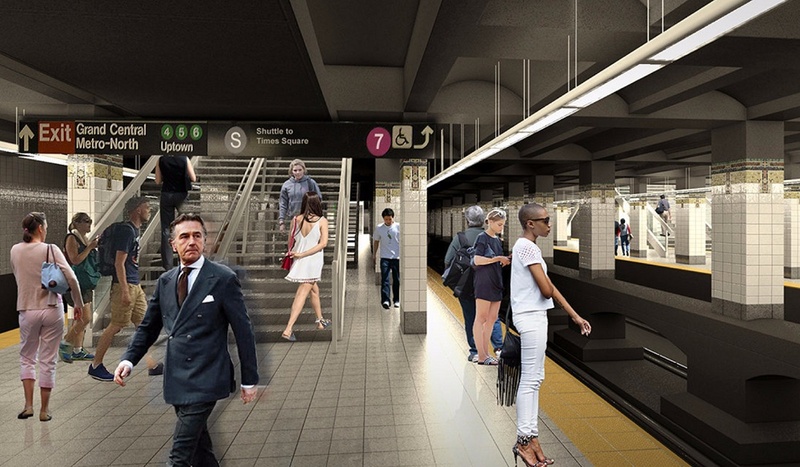 Two new staircases on the 4/5/6 platform will increase the total number to five, and all of the staircases and adjacent columns will be narrowed, creating a better traffic flow. 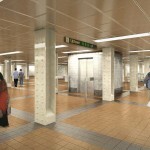 New turnstiles and a raised platform will also be added. 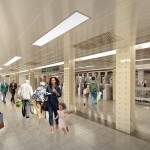 Another major aspect of the plan is the creation of a transit hall that will link Grand Central to the planned Long Island Rail Road station that’s currently being built to the northwest under the station as part of the $10 billion East Side Access project. 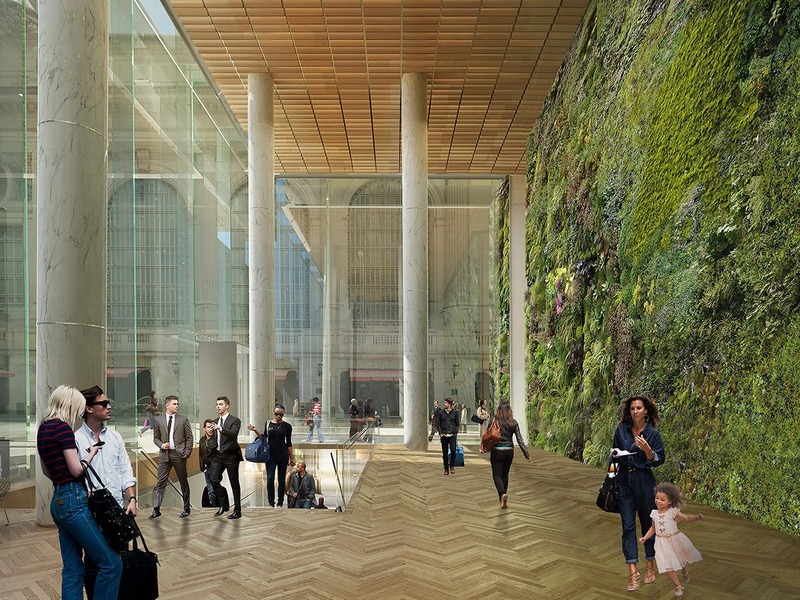 A 4,000-square-foot waiting area will occupy the northeast corner of One Vanderbilt and will include a “living wall” with hanging plants and a large arrival/departure screen. 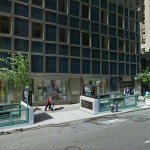 The plan will also take to the streets, permanently closing the block of Vanderbilt Avenue between East 42nd 43rd Streets to traffic. 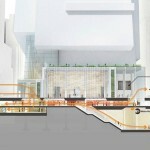 The Department of Transportation will install a public plaza on the block. The Grand Central/One Vanderbilt plan is part of the 70-block midtown east rezoning, which will likely commence in spring 2015.